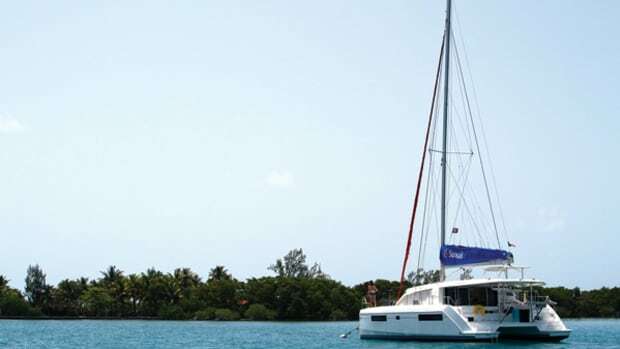 The growing popularity of catamarans for bluewater sailing has spawned a number of designs aimed at sailors who want some speed along with their comfort, yet either don’t want, or can’t afford to go down the high-tech carbon-fiber route. 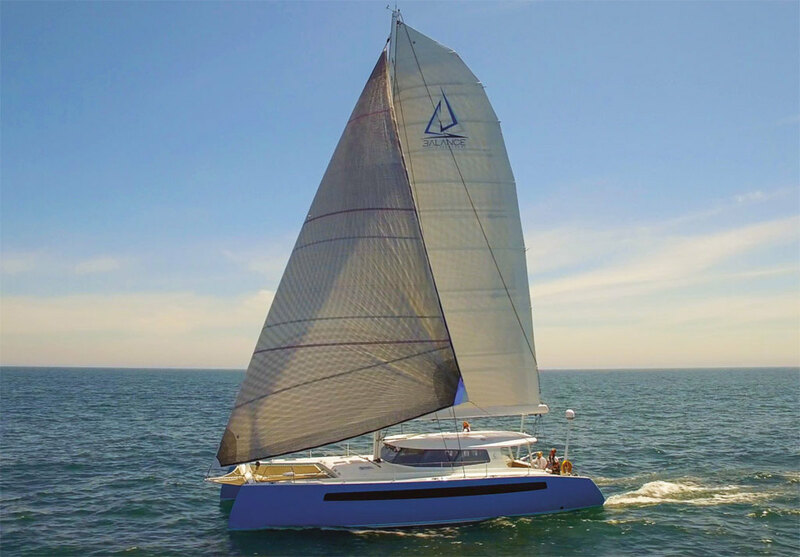 Builders like Catana and Outremer are the best-known companies that cater to this market, but there are a number of others, many of them based in South Africa, which is tied with France as the current hotbed of multihull development. One of the newer entrants into this competitive field is Balance Catamarans, whose second model, the Balance 526, we took for a spin on a sunny day off Fort Lauderdale.  Balance is the brainchild of veteran multihull broker Phil Berman, who wanted to distill his decades of experience into a line of dedicated fast cruising boats. 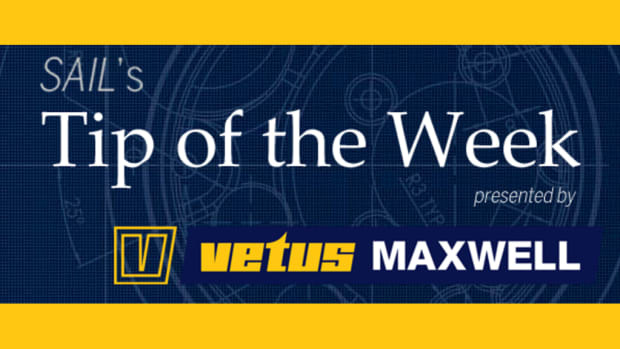 Experienced naval architect Anton du Toit put flesh on the bones of Berman’s requirements, and builder Jonathan Paarman of South Africa’s Nexus Yachts made the creation come to life. The aim was to build a cruising cat that was easy to sail shorthanded, would look after its crew at sea, could carry all the cruising comforts that one could reasonably expect and could sail at average speeds of 10 to 12 knots. The hull forms exhibit no chines or protrusions, and wave-piercing bows and fine forward sections give way to wider, flared sections aft. High bridgedeck clearance and a pair of daggerboards combine to provide a seakindly ride and good windward ability. One of the aims was to keep the boat at under 10 tons light-ship displacement—in the knowledge that owners would pile various amounts of gear onboard—and this was achieved with a build schedule that specifies a hull and deck sandwich of Corecell foam skinned with E-glass and epoxy resin. Carbon fiber is used to strengthen high-load areas, and interior bulkheads and furniture—including the handmade sliding doors to the saloon—are of composite construction to further keep weight down. The build quality on our test boat, Ondine, which was packed with complex systems specified by its owner, was first-class—the moldings were flawless, the attention to detail throughout was outstanding, and the complex electrical and plumbing installations were to high standards. 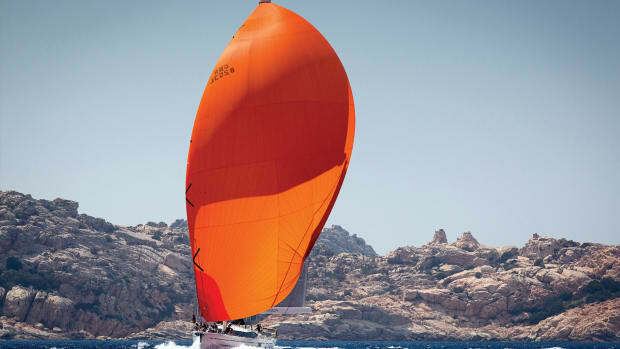 Ondine’s owner had specified the optional carbon-fiber rig and also added a Reckmann furling boom. 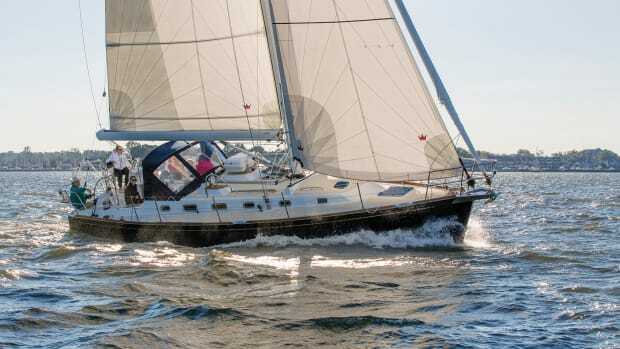 Like all such systems, it is sensitive to boom angle—get it wrong and the sail won’t furl properly, binding in the luff groove—and I suspect most owners will opt for a more conventional slab-reefing system. 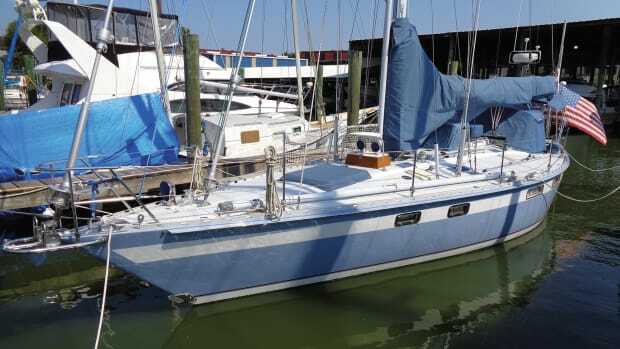 That said, combined with the standard self-tacking jib, which is set inside a furling lightweight reacher, the roller boom certainly makes life easy for a typical husband-and-wife cruising crew. You don’t often see something truly original when it comes to catamaran helm stations these days. 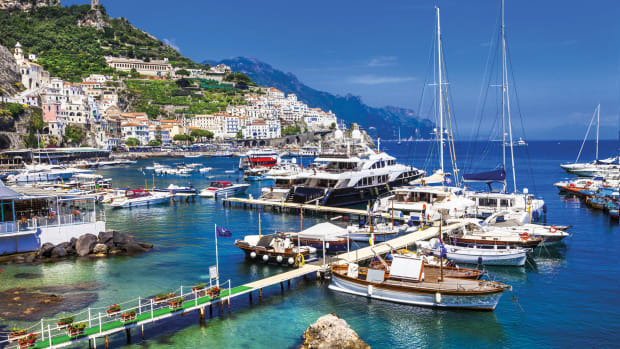 Depending on the builder you’ll typically find twin helms outboard, a single station at the bulkhead or up on a flybridge, or occasionaly, forward in the saloon. However, the Balance 526’s Versahelm is unique in that you can steer at the usual upper station, where the sail controls are concentrated, or pivot the pedestal sideways to steer from the cockpit—where you are protected from the elements and yet still have near-panoramic vision through the wrap-around windows in the saloon. This requires some duplication of controls and is an expensive option, but I suspect it’ll be a popular one. The self-tacker with its single sheet cuts down on the spaghetti at the helm, and a massive rope bin easily swallows the considerable length of the 2:1 main halyard. Ergonomically, the cockpit and deck are well thought out, with easy and safe transitions between the two. With the daggerboards set below deck level—they are buoyant and must be winched down—and no lines to trip over, the side decks are wide and clear. Capacious lockers in the front of the bridgedeck contain tankage and ancillary equipment, with plenty of room for cruising necessities. Each 526 is finished to its owner’s requirements, and Ondine’s combination of dark wood cabin sole and light ash-veneered furniture was easy on the eye. The saloon layout is logical and open; to port a U-shaped galley has plenty of worktop area and a sliding window that opens to the cockpit seating area. Forward of it is a good-sized nav desk that has an instrument repeater with autopilot control. It will likely be used more as a workstation, since a plotter mounted in the cockpit will be the navigation mainstay. A flatscreen TV in the saloon can display nav data if needed. The long, wide settee looks like a comfortable passage berth. Headroom is generous at 6ft 8in, and light streams in through the near-vertical glass windows that are shaded from overhead sun by an overhang. In the owner’s hull to starboard, the piece de resistance was a magnificent heads-shower in the stern that had room to spare—all it lacked was a bathtub. This arrangement was made possible by the decision to locate the queen-sized berths under the bridgedeck in order to keep the hulls reasonably slender at the stern. There is plenty of room to both get in and out of these beds as well as to sit up for reading. The port hull has a double berth aft, with separate head and shower compartments between it and the other guest cabin. The passages and doors here are on the narrow side as they had to be fitted in between the daggerboard trunks outboard and the large generator inboard. There are plans to widen the passageway on future boats. Because of the high bridgedeck, the descent to the hulls is quite steep, and conventional steps would not have worked. Instead, smaller foot-sized tread steps are employed. These take some getting used to, but work well enough. Throughout the interior, there is an impressive level of fit and finish, with no evidence anywhere of cost-cutting or shortcuts. The forced-air ventilation systems in the cabins are more evidence of the thought that’s gone into this boat. 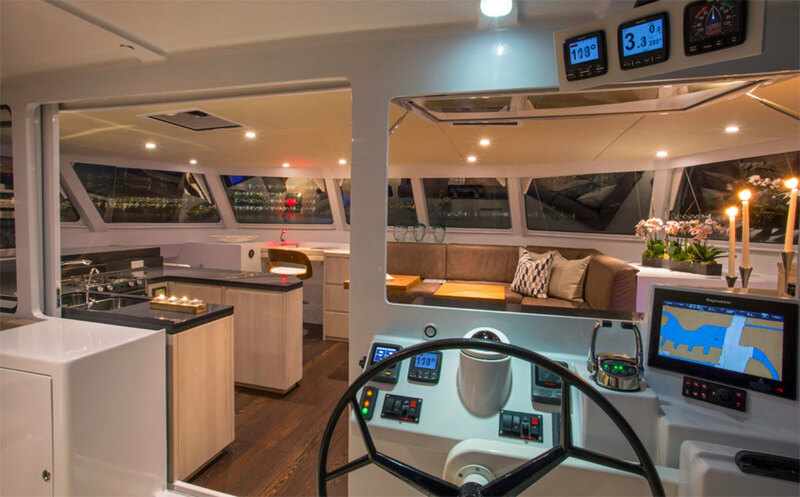 Ondine was equipped to an exacting owner’s specifications with a long list of extras, including a dive compressor and an ice crusher, which together added up to considerable weight, so I was not expecting blistering performance. Imagine then my surprise to find, as we reached in a wind that built to 15-16 knots, that our boat speed reached first double digits, then climbed into the teens and stayed there, peaking briefly at 15 knots. In the flat water there was little sensation of speed, just the feeling of a boat going about its business. There was next to no turbulence in the wakes, an indication of low drag. This performance tallied with what the boat’s skipper had told me earlier, of passage speeds close to wind speed. He had seen a burst of 23 knots during the delivery from South Africa, and averages of 12 knots and more in moderate conditions. This is plenty fast enough for a bluewater cruising cat, though some may disagree. Tacking angles were inconsistent due to a strong current, and the wind instrument was not working, but I had no reason to doubt the boat captain’s claim that the boat would point as high as most monohulls. A pair of 45hp Yanmar diesels with saildrives is standard, but Ondine was equipped with the optional 57hp Yanmars, which weigh and cost only a little more. The practice on Ondine is to cruise under one engine at 2,600rpm, which gives 7-8 knots depending on conditions. Engine room soundproofing is good, with only a reassuring hum reaching the living areas. Tankage is 263gal, split between two tanks. 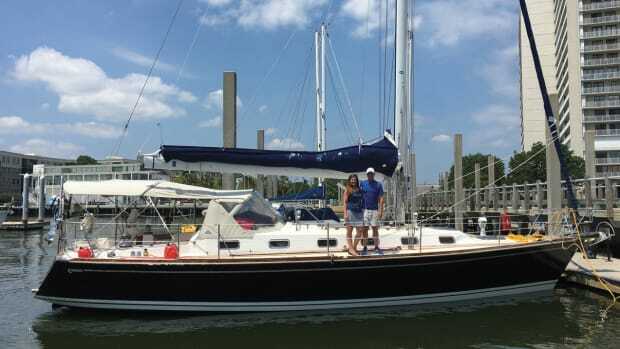 This good-looking cat should tick every box in the bluewater cruiser’s wish list. Fast, well-thought-out and well built, the Balance 526 is a highly desirable express cruiser—and, as the drone footage from our test sail showed, it’s also a good-looking boat, which certainly doesn’t hurt.